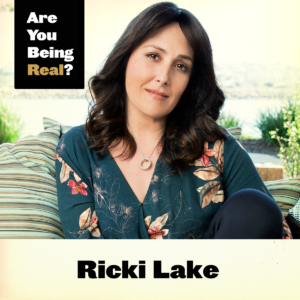 Why Ricki Lake Is A Total Badass | Are You Being Real? 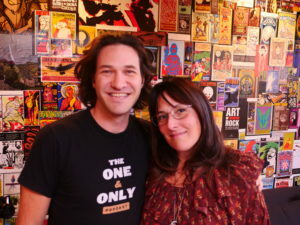 But pop-culture icon Ricki Lake did them both and has built a career by courageously putting herself out there and staying true to herself (amidst great adversity). After watching Ricki as a kid, I was lucky to meet her on the Gratitude Bus at Summit Series in LA, and the connection was immediate! Needless to say, I was ecstatic when she said she wanted to get real with me on my podcast. In this fun, deep and fascinating episode, Ricki shares about her epic journey through life – walking us step by step through her highest of highs and lowest of lows, and reminds us that the trick to survive and thrive in any situation is staying humble and being true to yourself. Tune in to hear for yourself why Ricki is a total badass and is only getting cooler with age – Come hang with us!